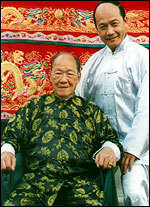 His father, Grandmaster Ping Lo, was 88 years old and is a senior Hong Kong Feng Shui Master. 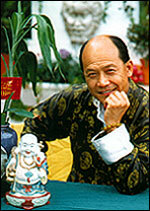 Master Ping Lo passed on his knowledge of Feng Shui and Chinese astrology to Master Lo when he was still young. Thus a family tradition is preserved and continued by Master Tom Lo. In 1986, Master Lo was appointed as a teacher of Chinese calligraphy and water colour paintings by Cairns TAFE college. He is the 1997 and 1999 winner of the health, Sports and Fitness award with the Quest Newspaper of Queensland and 1998 best stand award at the Queensland Alternative Festival. Master Lo has been a guest speaker for the Feng Shui Society of Australia Qld Branch, Swap Club and the International Bowen Seminar. 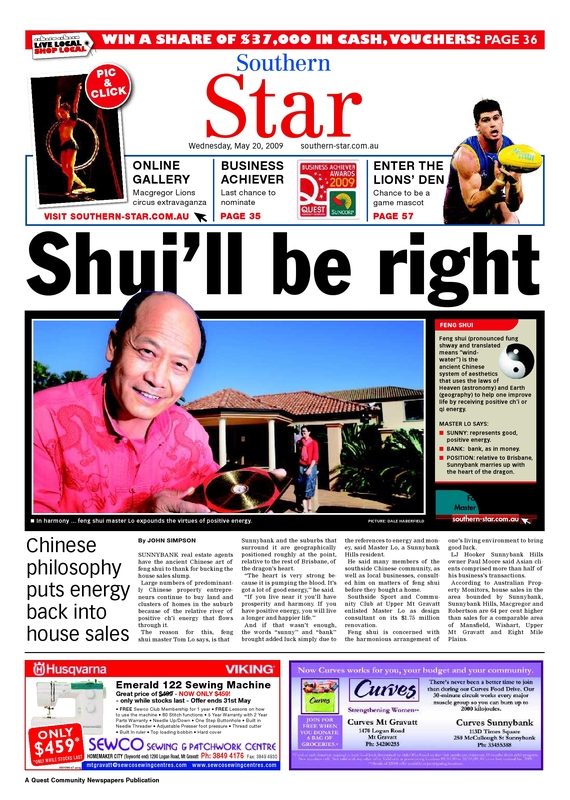 He was recently featured on both the front covers of the Queensland Newspaper - Courier Mail "Our House" and the Brisbane News Magazine "Chinese Wisdom". Master Lo has writes a regular column featured in the Sunday Mail Home & Living section. See below for some featured Feng Shui make-overs. Would you like to improve your property? Click on these examples of my work.